Reinforcement and punishment are common terms that most people have heard of and use on a daily basis, whether they realize it or not. Although the concepts seem easy to understand and implement, it can be easy to confuse the basic principles and/or implement them incorrectly. In order to understand the difference between reinforcement and punishment, it is important to understand the definitions of both terms. Reinforcement is a consequence following a behavior that increases the probability that the behavior will increase in the future. The consequence can be either positive or negative. Positive Reinforcement is something added to the consequence that will increase that particular behavior in the future. Example: Your child cleans his room the first time you ask, so you give him a cookie as a reward. In the future he is more likely to clean his room the first time you ask. Negative Reinforcement is something removed from the consequence that will increase that particular behavior in the future. Example: Students do well on their math test so the teacher doesn’t give them homework over the weekend. Negative reinforcement is often interpreted incorrectly and becomes confused with punishment. But from the above definition and example, you can see that negative reinforcement is used to increase desired behaviors, and is not punishing in any way. Punishment is a consequence following a behavior that decreases the probability that a particular behavior will occur in the future. As with reinforcement, the consequences can be positive or negative. Positive Punishment: Something added to the consequence that will decrease a certain behavior in the future. Example: Your child talks back to you, so you make them do extra chores. Negative Punishment: When a consequence includes the removal of an item or privilege that will decrease the behavior in the future. Example: Your child fails a test, so you take away their cell phone for a week. Always be sure to only reward behaviors that you would like to strengthen and see again in the future. It is easy to inadvertently reinforce negative behaviors without realizing it (Ex: You child is crying in the grocery store because you won’t buy them candy. You eventually give in and buy them candy, so the next time they want candy in the grocery store they are going to cry). In this example the behavior of crying was positively reinforced, so that behavior will continue in the future. Vary the type of reinforcement used to avoid overindulgence of a particular item or activity (i.e., if you always reward your child with candy for good behavior, they are likely to get tired of the candy and may stop engaging in the desired behavior). Before choosing a reinforcer, figure out what your child is currently motivated by and use that item. Some children can be motivated by the same item for longer periods of time, and others may change their motivation more frequently. Be consistent with the delivery of reinforcement in order to maintain the desired behavior. 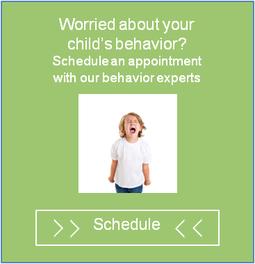 Be sure to only punish behavior that you want to decrease. In addition to inadvertently reinforcing negative behavior, it is also possible to accidentally punish appropriate behaviors. When punishing a behavior you want to decrease, always make sure you continue to reinforce appropriate behaviors. If you find yourself using punishment and the behavior is not decreasing, re-evaluate the consequence and try another consequence. Also, what may be punishing to your child this week may not be punishing next week. Just as you always need to re-evaluate what reinforcers to use, you also need to re-evaluate what punishing consequences to use based on your child’s current motivation. Be consistent with the delivery of consequences in order to decrease the undesired behavior. Click here for more great tips to implement positive and negative reinforcement during play dates.